Finally getting around to finishing the second panel. Every time I spend too much time away from a brush or pencil I think that I’ve lost whatever touch I have. Have to keep working at it, too much time in between creating is not good. 31 Jan	This entry was published on January 31, 2016 at 2:15 am. 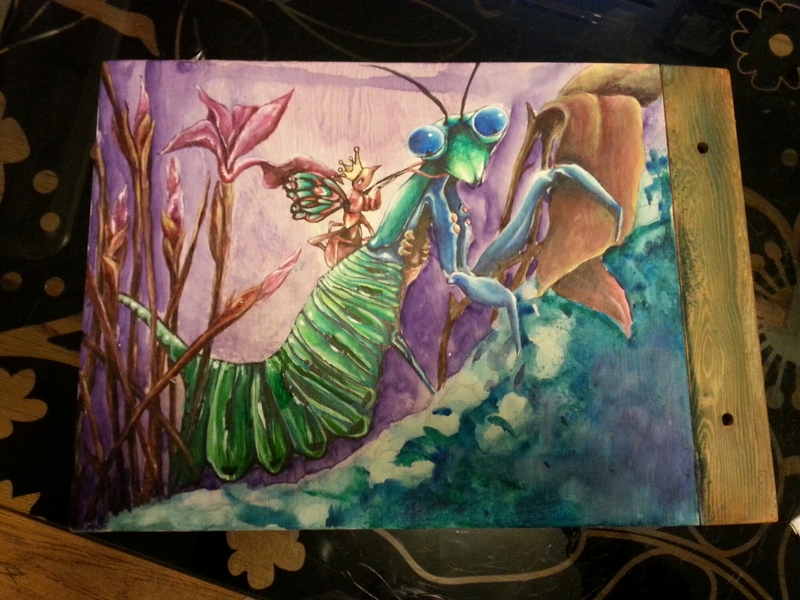 It’s filed under artwork and tagged alternate reality, eljaiekart, fantasy, illustration, in progess, insects, throwback. Bookmark the permalink. Follow any comments here with the RSS feed for this post.